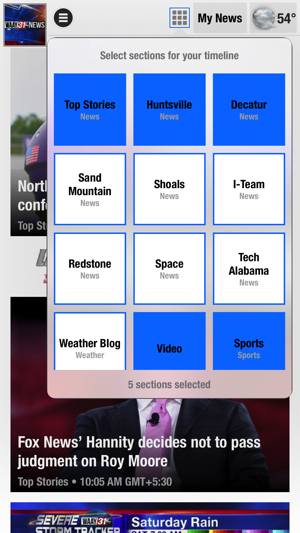 Providing the latest in Local, State, NASA, Technology and Business News in a customizable and easy-to-navigate app. 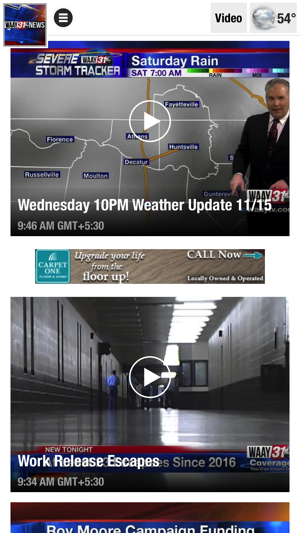 Be prepared for weather events with personalized forecast from the Storm Force 31 Weather Team. 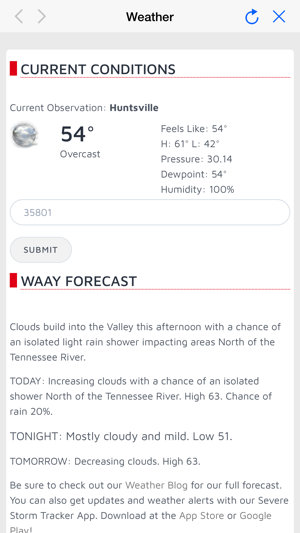 Learn about how weather is affecting the Tennessee Valley and tips on how to keep your friends and family out of harm’s way during a severe weather event. Discover what’s happening in your community and stay up to date on local, state and regional sporting events. 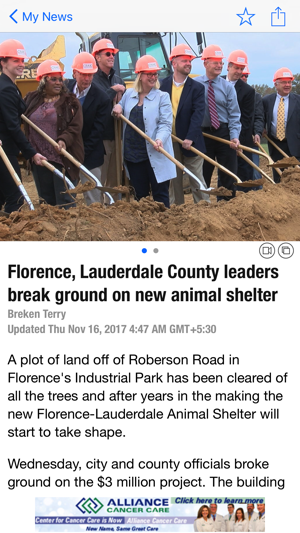 I downloaded this app and allowed notifications specifically for local news. 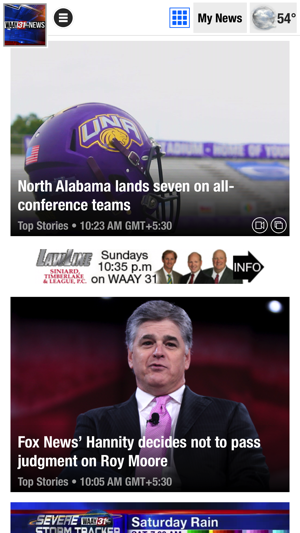 Please stop sending me notifications for national news stories or give me the option to opt out. There are plenty of apps for US or world news please stick to the local news and don't notify me otherwise. Great app. Easy to pick what interests me. Good information to have at your fingertips daily. Clean. Concise. No clutter. I like it!